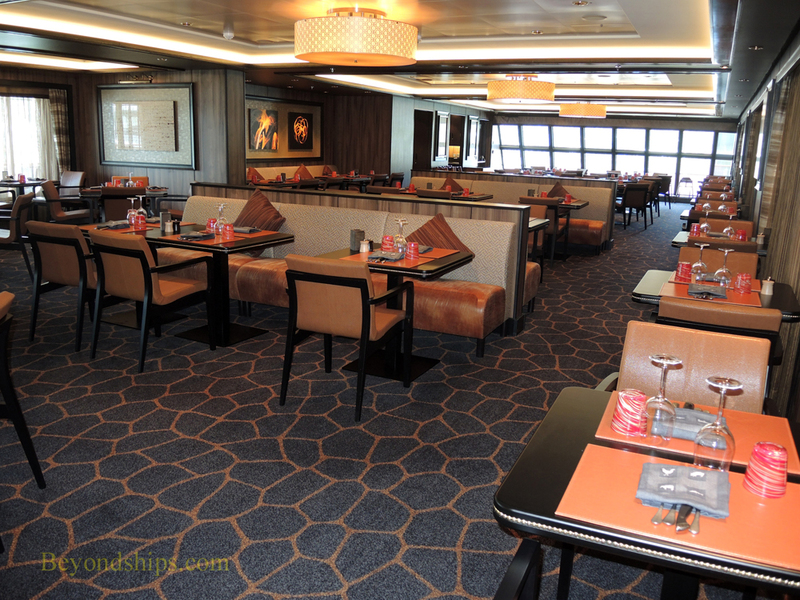 Perhaps the most popular of the specialty restaurants on the Norwegian ships is Cagney's Steakhouse. 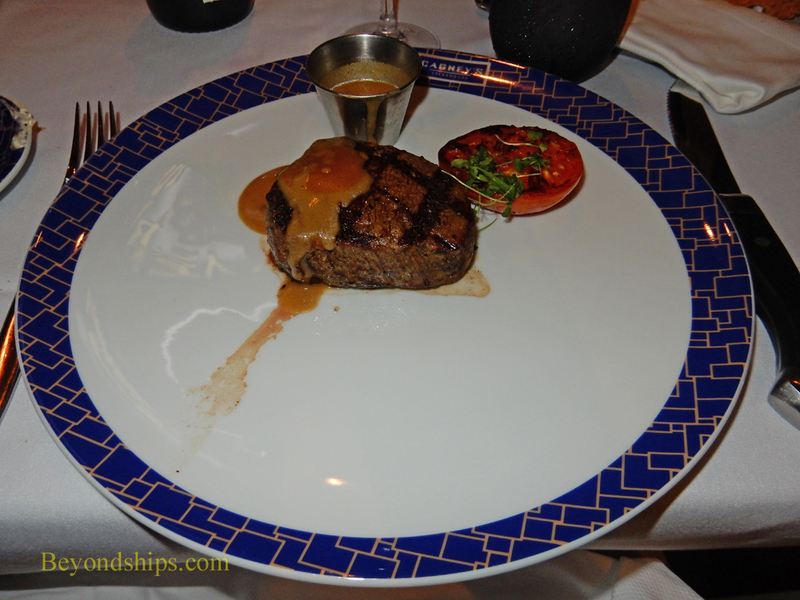 As the name indicates, the specialty of the house is beef. It is a straightforward menu. (See our menus page). 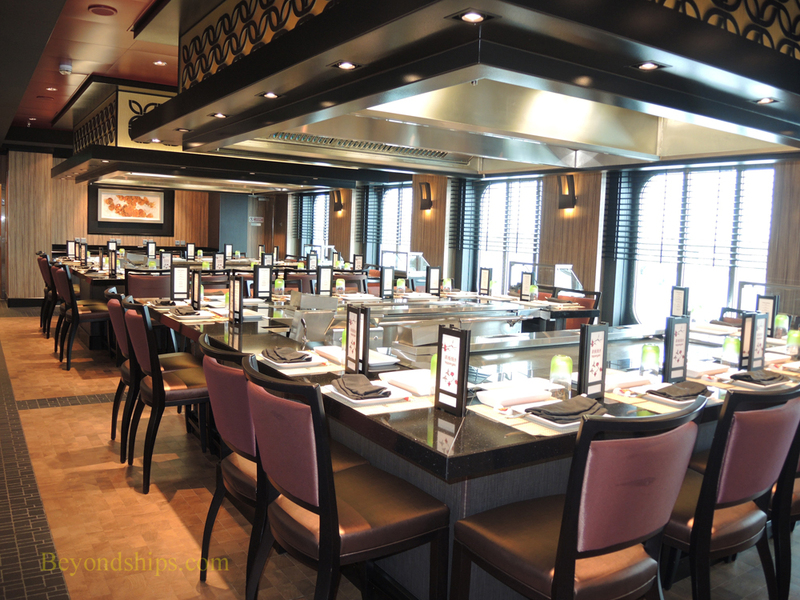 The quality is high and the dishes are prepared nicely. 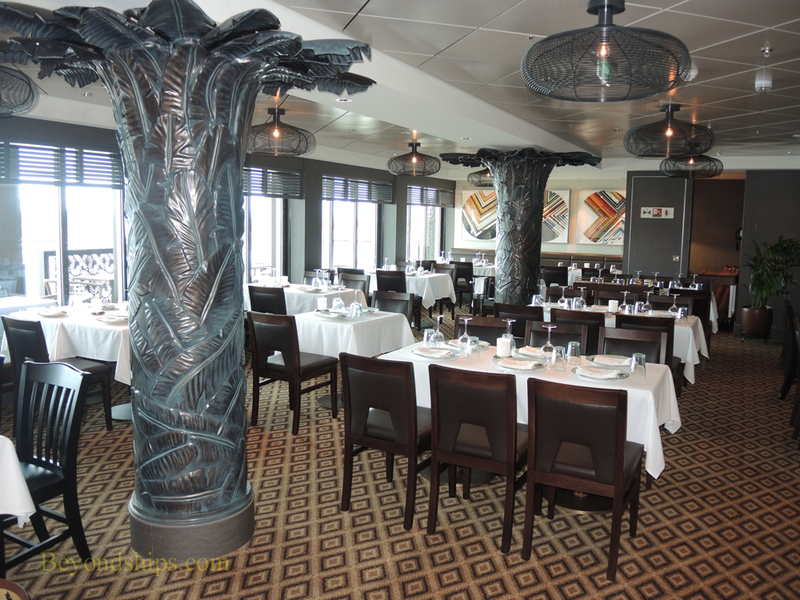 On Escape, it has a sophisticated, contemporary decor. Cagney's also has an outdoor section which is great on balmy Caribbean nights. 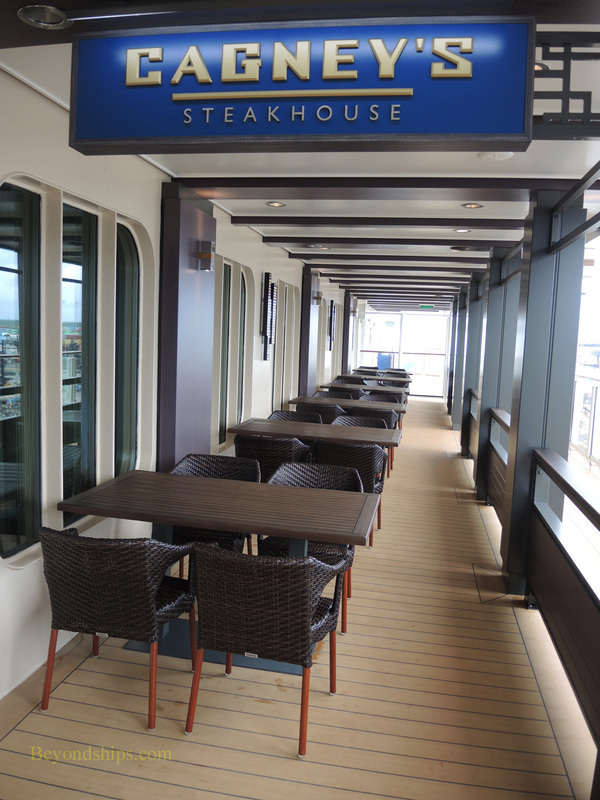 Opposite Cagney's on the starboard side of Deck 8 is another steakhouse, Moderno Churrascaria. 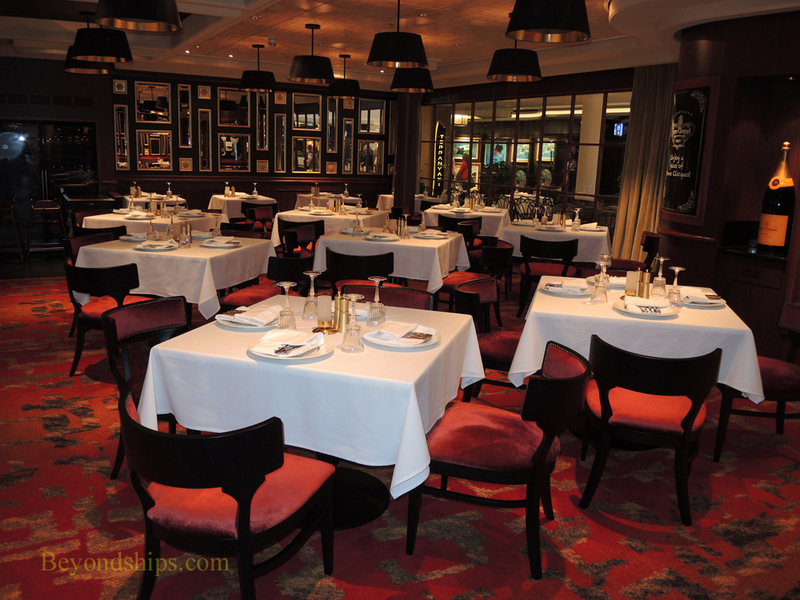 This Brazilian steakhouse however is much different than a traditional North American steakhouse. 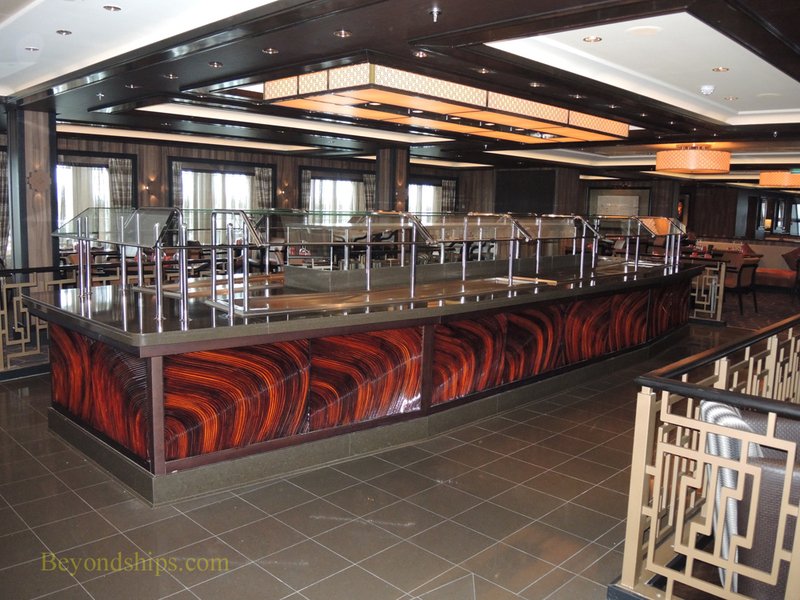 You begin by visiting the salad bar, which has a wide variety of items. When you have finished that, servers bring around skewers of beef, pork, chicken and lamb cooked in different ways. If you like the look of it, they will slice off some for you. 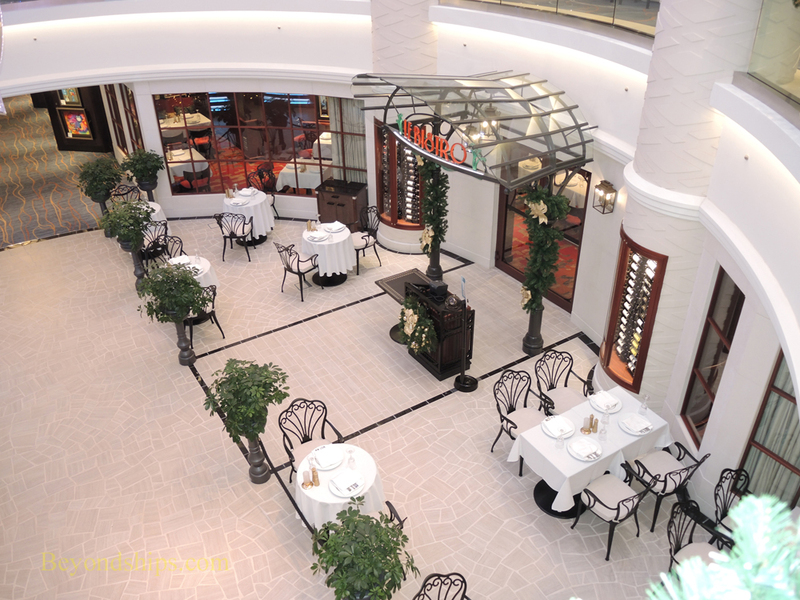 Above: La Cucina is Escape's Italian restaurant. 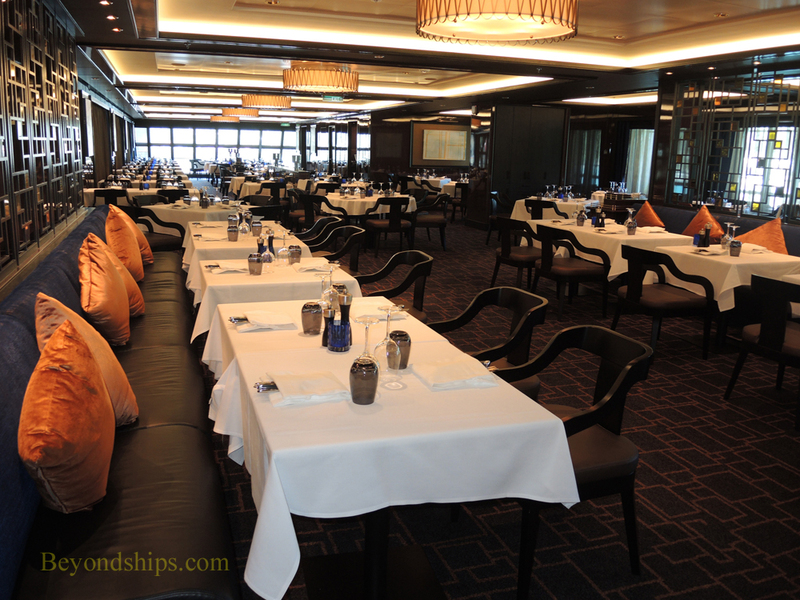 It premiered with a more sophisticated menu than on previous Norwegian ships. 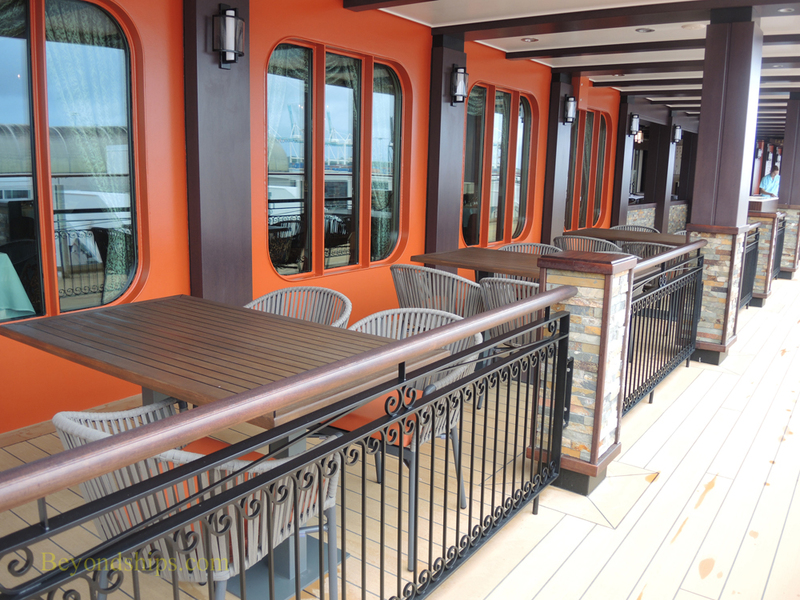 Like Cageny's and Moderno, La Cucina also has outdoor seating. 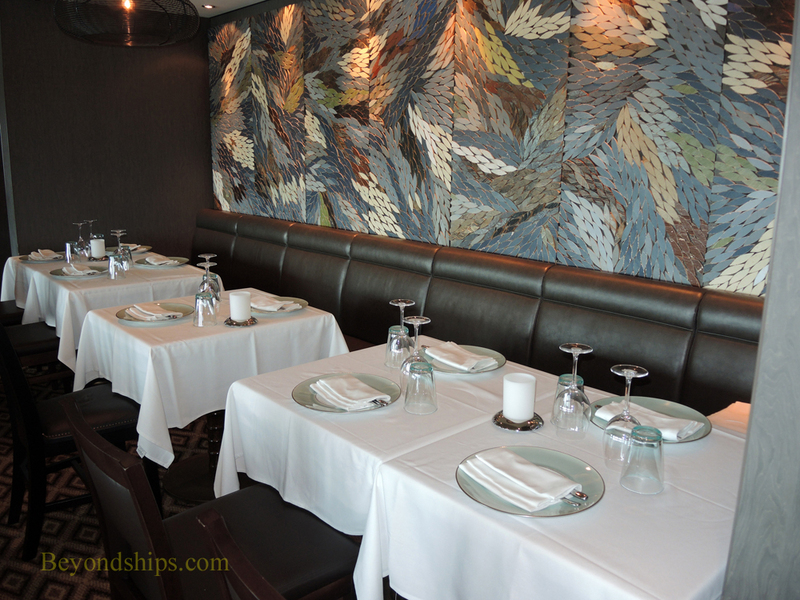 Below: Le Bistro offers French-inspired fine dining. 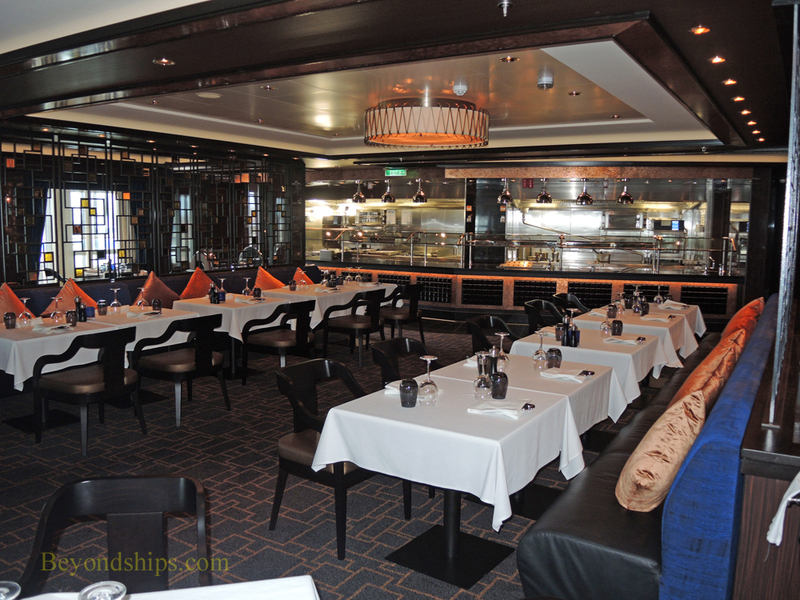 The oldest of Norwegian's specialty restaurant concepts, it remains quite popular. 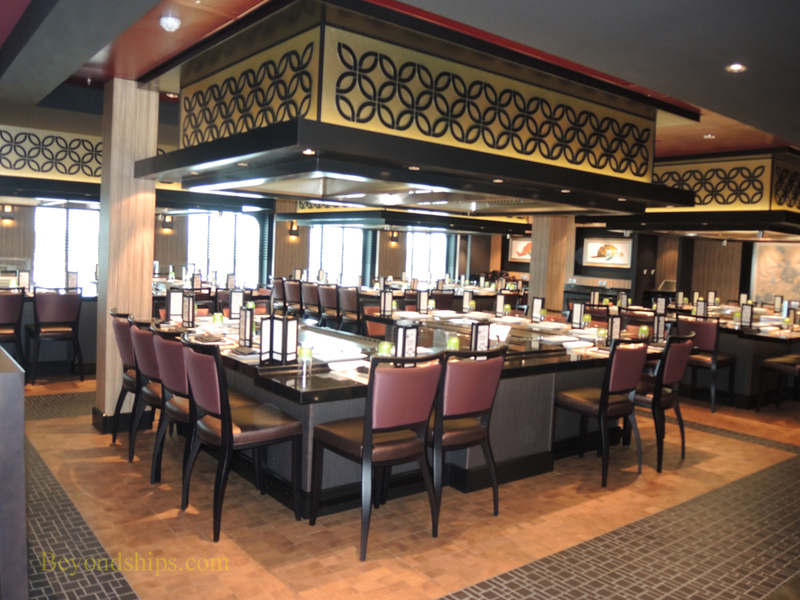 Below: Bayamo is a new specialty restaurant debuting on Norwegian Escape. It was developed in conjunction with celebrity chef Jose Garces. 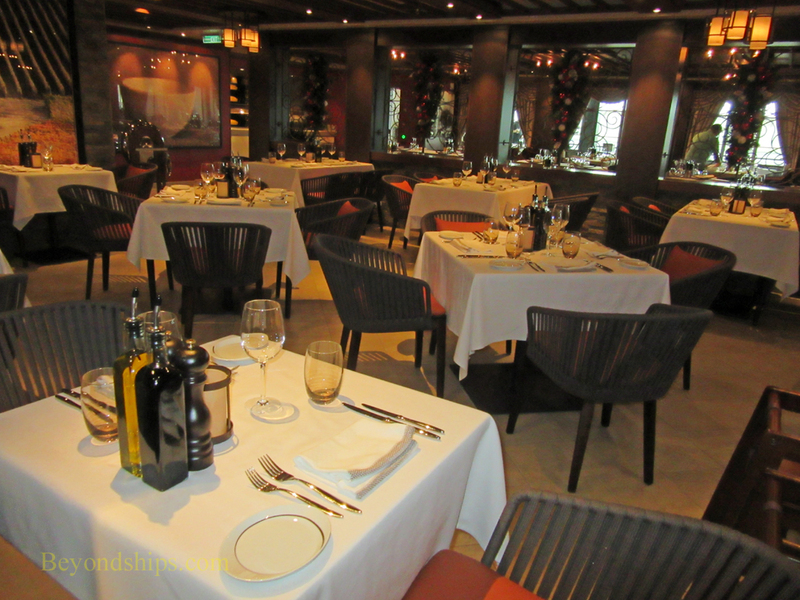 It presents seafoods and meats with a Latin flavor.